Jackson Thomas is a guy whose passion for traveling has led him to know amazing places, and perform incredible things, – envy ?. Each trip is documented in video and then shared in his Vlog through his Youtube channel, to show the ups and downs of each visit. 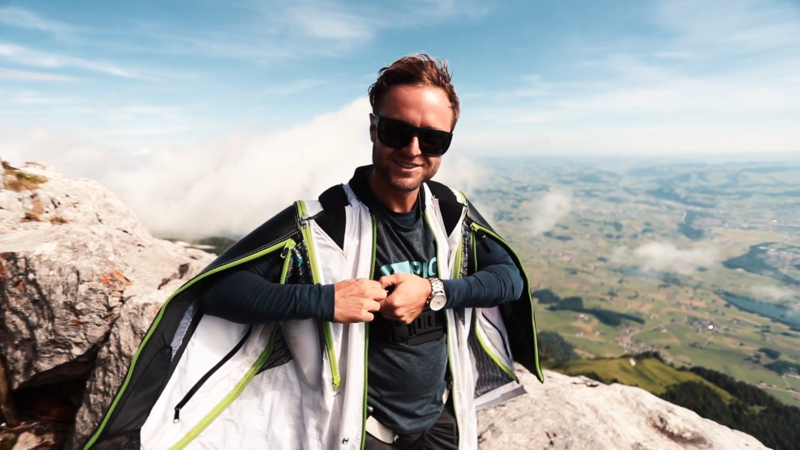 On his last trip, he ended up on a Wingsuit Base Jumping film shoot in Switzerland for an epic watch company. 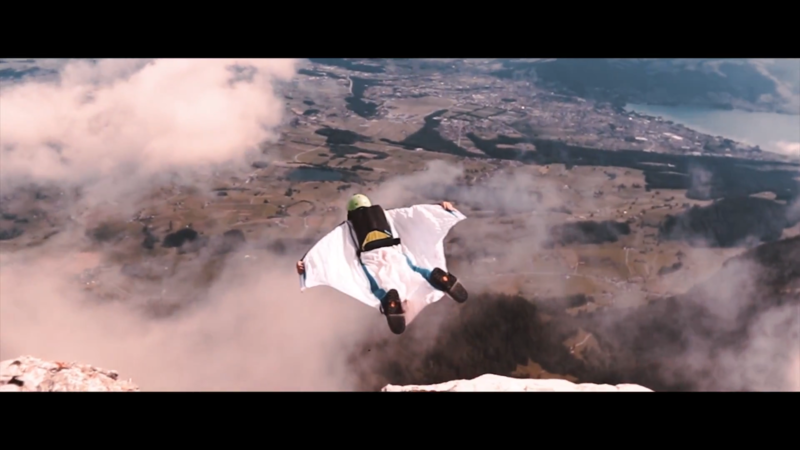 Among the many disciplines that exist within extreme sports, the flight in wingsuit is starting to sound a lot, which explains, because it is becoming common to use images or shows of this sport in commercial brands. 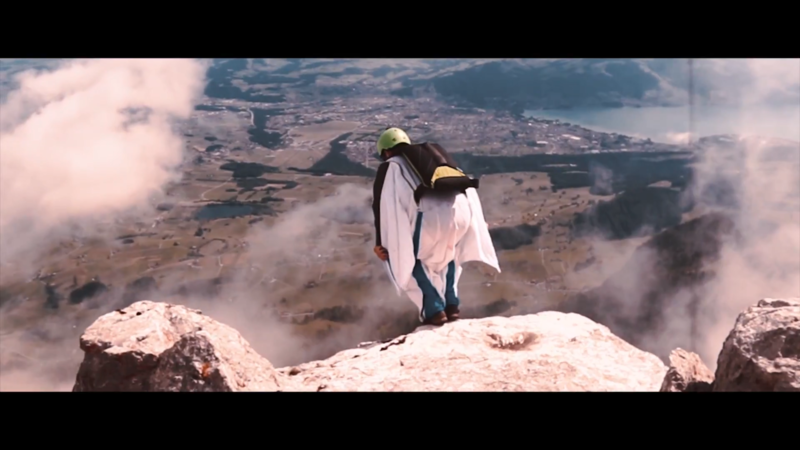 I know that many of you will wonder what makes the Wingsuit so exciting? The answer is easy, live the freedom to leave your world even for a moment. That insatiable desire to immerse oneself in an absolutely unknown and mysterious world, to learn new cultures, to meet new people, to make friends all over the world, has a particular magic like that of each place that one travels. For many, traveling is a dream. You will be surprised to know that there are millions of people, who one day decided to leave their bonds, take their backpacks and take a trip. The freedom you experience when traveling, is very similar to the one you feel in mid-flight, or a free fall jump, that’s why, those who practice these sports, travel constantly to find new paradises with which to delight, discover new places, that for far or near you are invited to find each corner impregnated with smells, colors, flavors, people and rhythms that, however strange they may be, feel like your home. From this, great trips and incredible adventures, anecdotes and unique experiences have emerged and in some cases, the trip itself has changed their lives. In any case, for all of them it has been a great story to tell. Wingsuit flying is a high-risk sport that causes concern and rage throughout the world. Then, traveling, flying … is the most extreme experience you can experience. 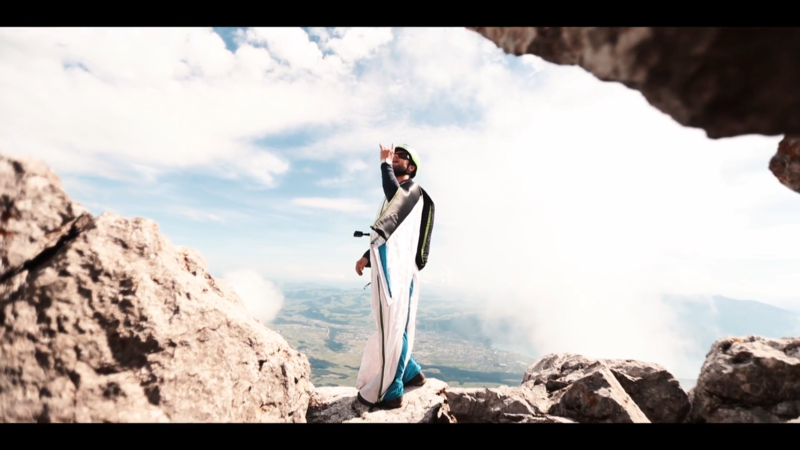 Those who like “wingsuit” say that part of the beauty of this balance that can last a couple of minutes at high speed, lies in flying very close to the contour of a mountain for several kilometers and landing using a parachute. It is possible to see these athletes plan very close to mountains, trees and even the ground as if they were birds. There is something special that leads an athlete to perform high risk actions, it is the passion for a practice that they expect to come out well and the reason that feeds them the desire to move forward looking for new limits. Have you also dreamed of taking the backpack and leaving everything to go on a trip? 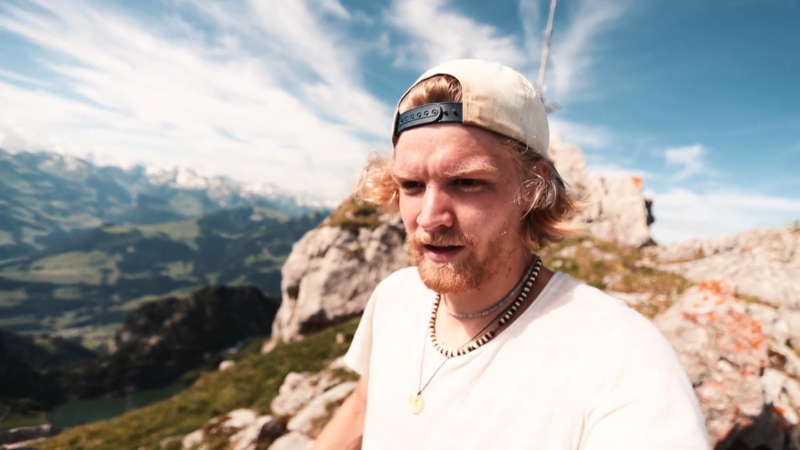 Jackson Thomas is a guy whose passion for traveling has led him to know amazing places, and perform incredible things, - envy ?. Each trip is documented in video and then shared in his Vlog through his Youtube channel, to show the ups and downs of each visit. Such a killer day man! We CRUSHED IT. Also.. who in the world puts milk in their coffee before adding the water? I can’t tell you how inspiring I find your videos and story & am shook every time I realize you don’t have at least half a million subscribers. I see it coming tho. Keep being awesome! AHHHHH THANK YOU SO MUCH FOR THIS. Has me so humbled and thankful for people like you! Seriously thank you so much. I want to do that and sky diving one day! OH YES sky diving would be amazing! AHHHH This makes me so happy and humbled omygosh. Thank you for your kind words! hey man epic video! are you still in Switzerland or is this an old vlog? Thanks man!!! Yeah i’m here for about a month actually! Its phenomenal bro. Love this country. Ahhh thanks man!!! YESSS ME TO OMYGOSH.